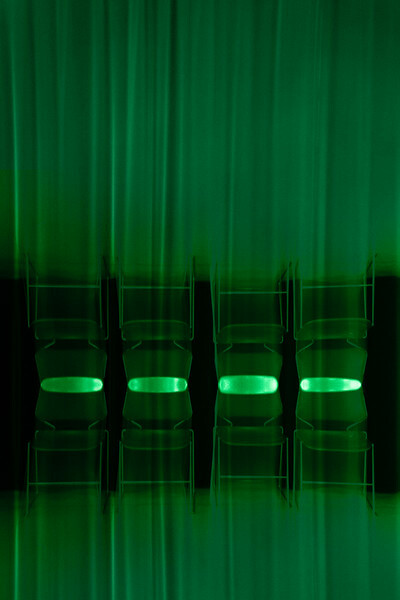 This began as a shot of four chairs against a black drape in the studio (we are taping shows this week in Denver). The chairs were slightly panned vertically but kept their original detail as well. Then I turned the image to black and white - went into photoshop - added a new layer with green and blended the two. Then I did a montage by flipping it vertically and moving it until I got the lightest area to my liking. A bit si-fi, but my best laid plans were waylaid and so I'm making as much lemondade as I can from these lemons.